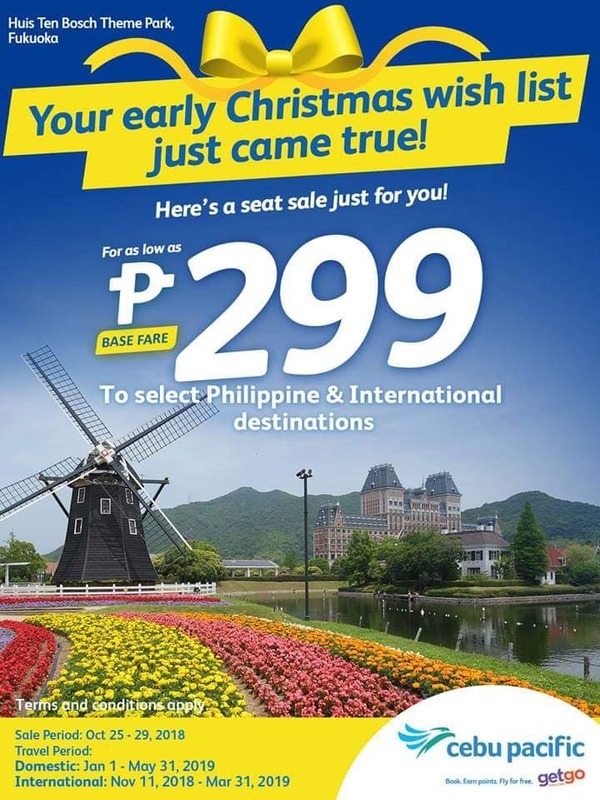 You are here: Home / Cebu Pacific / CEBU PACIFIC AIR: 299 ALL-IN TO ALL FLIGHTS! CEBU PACIFIC AIR: 299 ALL-IN TO ALL FLIGHTS! Wish do come true this Christmas! Cebu Pacific Air is giving our wish come true. For as low as 299 all-in, you can fly to any select Philippine destinations and 1199 all-in to any select international flights. How to avail mla – taipei 1199? Is there any way to pay except credit card.? How about legazpi to cebu? Meron po kayo?